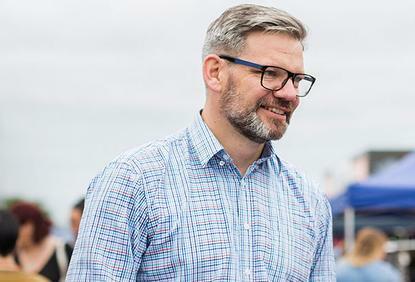 Workplace Relations and Safety Minister Iain Lees-Galloway has slammed the systemic mistreatment of UFB workers as not acceptable and not welcome. Lees-Galloway said the Government's efforts to strengthen employment law to better protect New Zealand workers and stamp out migrant exploitation, were justified by the findings revealed by the Labour Inspectorate’s investigations into Chorus subcontractors. Analysis by the Labour Inspectorate has revealed that of 75 visits to subcontractors rolling out broadband networks for Chorus throughout Auckland, 73 had likely breached minimum employment standards. The investigations found that contracting employers were failing to maintain employment records, pay employees’ minimum wage, holiday entitlements, and provide employment agreements. “This activity is in breach of minimum employment standards required by law, it is clearly exploiting migrants, and it is a timely reminder why the Government is strengthening employment law to protect vulnerable workers," Lees-Galloway said. “This also demonstrates the previous Government’s procurement process prioritised cost over the welfare of New Zealand workers in allowing contracts that encouraged this kind of behaviour." The operation’s findings demonstrate why the Coalition Government has embarked on a program of restoring fundamental rights for New Zealand workers, he said. “One of my top priorities for this term of Government is improving protections for contractors and workers in precarious employment arrangements," Lees-Galloway said. “The Coalition Agreement also sets tackling migrant exploitation as one of this Government’s top priorities. We have already increased the number of Labour Inspectors and further work to stamp out migrant exploitation will begin before the end of the year.